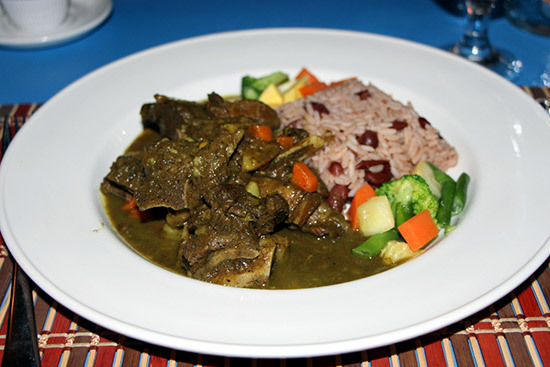 Stewed Goat at Sarjai's My wife still claims she saw a "Welcome to Anguilla" sign before we first set foot on the island, but I wouldn't know. I was exchanging eye pleasantries with a beautiful Anguillan goat standing on a rock. That was my Welcome to Anguilla. Chef Darren Connor, fresh from beefy excursions to NYC and Omaha, has his ways with the meat (try the award winning Steak au Poivre with Aunty Joan’s Home-made Curried Fries). I called him Anguillan Idol, not only because he's such a a great ambassador but also because my wife mistakenly kept calling his place Sanjaya (Google American Idol Sanjaya). The stewed goat here is pure awesomeness. So tender and juicy, while fatty in all the right places, like slow dancing with your mother in law! And while you at it, check out the creole snapper with curried cabbage and the addictive coconut sweet potato dumplings made by Darren's grandma. Steamed Red Snapper at Johnno's Sunday is Funday in beautiful Anguilla. You got Boss, Sprocka, the soothing sounds of Kiera, and perhaps Bobo on the sax. The perfect warm up act to the main event... 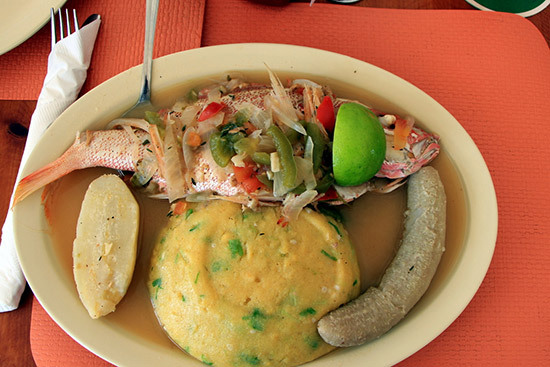 The Steamed Red Snapper. Things got a little weird at some point when I stood up and started taking pictures of the fish instead of the musicians, while blurting out random expletives. The fresh snapper was expertly cooked to flaky perfection, and the accompanied Fungi just added to the fun. "Mushrooms? Why on earth would you order mushrooms, you know I hate mushroom" Mrs. Ziggy exclaimed. "That's not mushrooms. Just like with crayfish, things are weird like that here". It's like polenta, reminiscent of the Romanian/Moldovan Mamaliga. What a plate! Chicken at Jacala If there's anything I learned during my travels all these years is that it's getting increasingly difficult eating next to constipated babies. You feel helpless, and can only hope relief comes soon, while the babies cry it out. The other thing I learned is that the French are like maestros with chickens. In fact I'm surprised there are no French Rotisserie chickens on such a French influenced island. At Jacala (I still giggle at the name but it may be just me. It sounds like a cat that went haywire. As in "Remember when Mittens went all Jacala on us?") 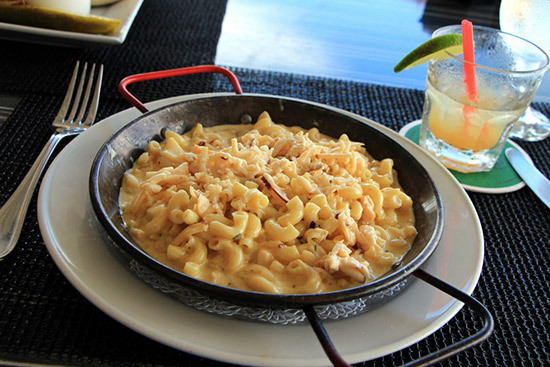 they take white breast meat, roll it around lobster and chicken mousse, and serve over lobster sauce. Fish Salad at Tasty's I was all ready to dismiss this one as one of those potentially overrated local classics you sometimes come across while researching a destination. It's mentioned in various blogs, magazines, local children books ("The Lion, the Witch and Tasty's Seafood Salad"). 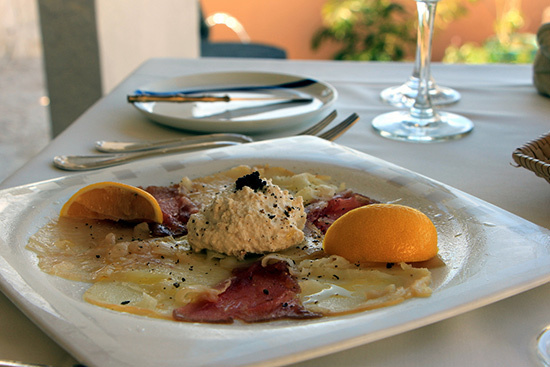 Prior experiences with such seafood salads and pastas suggest quite a cooking challenge. But once you learn the history and motivation behind this dish, you get to understand how Chef Dale gets it right. 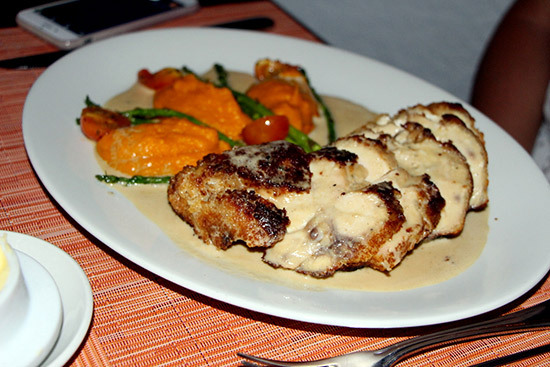 Grilled Snapper Special at Mango's During my time in Anguilla I learned two important things. 1) Mosquitos really really like me. By the end of the week, my nickname on the island was "Yo, Mosquitos got ya mon". 2) Mango's got the freshest fish on the island. Locals, chefs, Trip Advisor forumites, all agree that Mango's got a special relationship with the local fishermen. Smoked Fish Trio at Hibernia At some point during this meal, I (a grown man - well, age wise at least) thought to myself that the only thing missing from this experience is something mystical like a unicorn or a beautiful yellow bird. Moments later the latter showed up to hang with us. And moments earlier I was enjoying this triumph - a trio of smoked fish, like most delectable sea butter, with a revelation in itself in the middle... ginger infused cream cheese with horseradish. The cream cheese picking up on some of that fishiness and smokiness tasted almost like a most incredible white fish salad. There's the Michelin star right there. The sick Foie Gras Terrine with red wine infused basil seeds (like a newly invented exotic fruit) is the second star, while the magical setting easily delivers the third. What a place! What a meal! I know gnocchi, I love gnocchi, I have a PhD in gnocchi science (minor in couscous). Get the Gnocchi!